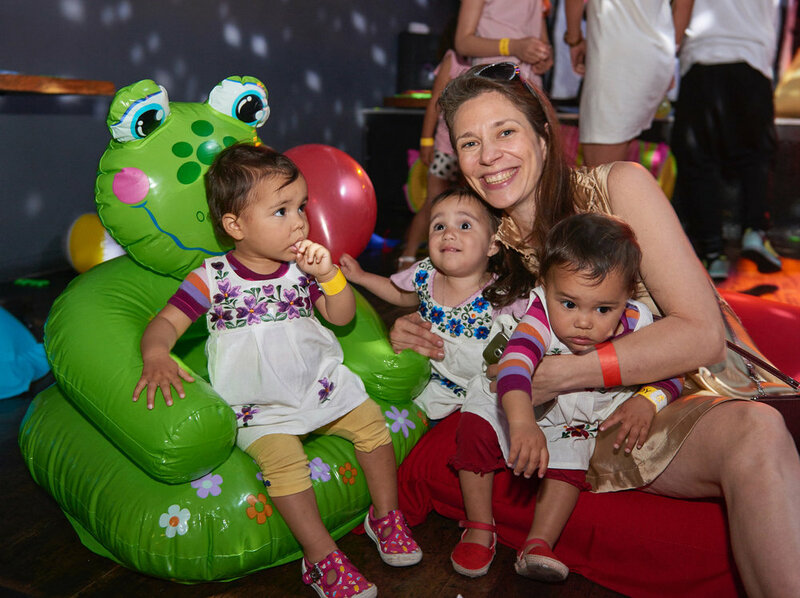 Party on with Diddy Rascals events - the friendliest, funkiest and most fabulous way to spend quality time with your family! Carefully created with both adult and child in mind for the ultimate parenthood high. For those that miss those heady days of rave - our family-style raves are the best way to engage with your little ones through party music and play. For those who crave the thrill of the big screen - our lights-on parent and baby soft play cinema sessions with ‘cuppa + cake’ are just the ticket. Or to reconnect with your adventurous side, join in the fun at one of our family-friendly festivals where you’ll see our inflatable room come to life alongside DJs and live music keeping little toes tapping. What’s more, 100% of proceeds going to support the work of Humanitas Charity. Diddy Rascals is now available for hire! The ultimate addition to any festival and so much fun with Master Rascal. Raves, silent disco, cinema experience and more... enquire for more information here. Diddy rascals events are 100% not for profit!